Situated in the heart of rural Essex, Little Mountains is a mixed working farm and since 1953, the Mann family have been rearing turkeys to full maturity with feed milled on the farm from home grown cereals – the secret to the flavour! In June and July the farm offers traditional “Pick Your Own” soft fruit offering an opportunity for families to enjoy a day out on the Farm. Be amongst the first to know! We will tell you when we are taking orders for Christmas, when various fruit is ready for picking and any other relevant information. 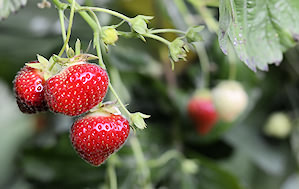 From June to July we welcome you to the farm to Pick Your Own soft fruits - makes for a lovely day out! 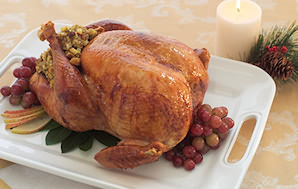 Please phone 01621 891215 for all turkey enquiries throughout the year or order online for Christmas. A great taste from Great Totham, offering quality and farm reared turkeys and soft fruit.